Just as state laws recognize that retirement benefits, such as pensions, are marital property to be divided in a divorce, federal law holds that some ex-spouses also have a right to collect Social Security retirement benefits based on each partner’s work records. Several requirements must be met, however. You can draw on your ex’s Social Security benefits if you’re at least 62 years old, your marriage lasted at least 10 years and you haven’t remarried. It doesn’t matter if your ex has remarried. If you do marry again, you can collect on your second spouse’s benefits but not on your first’s unless your second marriage ends by death, divorce or annulment. Your ex doesn’t have to be collecting Social Security to pave the way for you to do so if you’ve been divorced for at least two years, but he must be eligible to receive benefits. There's an exception to the 10-year rule if you’re caring for a child who is also your ex’s child, either biologically or adopted. If he’s younger than 16 or disabled and receiving benefits based on your ex’s Social Security record, it doesn’t matter how long you were married. Another requirement is that the benefits you would have received based on your own work record must be less than the benefits you’re entitled to on the basis of your ex’s earnings history. You’re typically entitled to 50 percent of your spouse’s benefit amount. If you’re eligible for $600 a month based on your own earnings and $900 a month based on that of your ex, Social Security pays your $600 first, then an additional $300 for your entitlement to collect on his earnings record. If you’ve reached full retirement age, you can delay receiving your own benefits until a later time when they’ll amount to more. You can collect on your spouse’s benefits until that time. 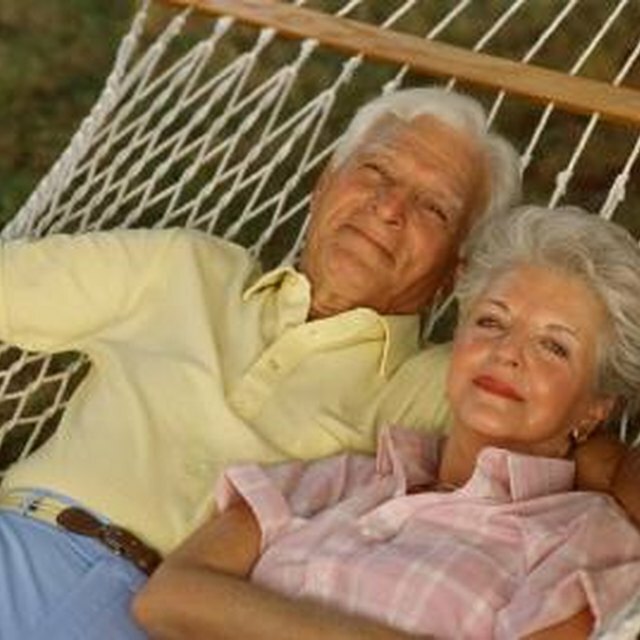 Benefits increase about 8 percent a year between the ages of 66 and 70, according to Charles Schwab. Your right to draw on your ex’s Social Security earnings history is governed by federal law. There’s nothing he can do to prevent you from doing so, nor would he have any reason to. You don’t have to waive the right in a divorce agreement, and a state court judge can’t take it away from you because it doesn’t affect your ex. He still gets his full benefit; your share doesn’t subtract from his, and if he remarries, his second spouse can still collect on his earnings record, too. If you’ve determined that you’re eligible to collect on your ex’s earnings record, applying is as simple as it gets. Go online to the Social Security Administration’s website and click on “Apply Online for Divorced Spouse’s Benefits.” You can fill out an application and the Social Security Administration will contact you after you submit it with questions or to inform you of the status of your case. Charles Schwab: Social Security and Divorce -- Can You Collect Benefits on Your Ex’s Earnings Record?